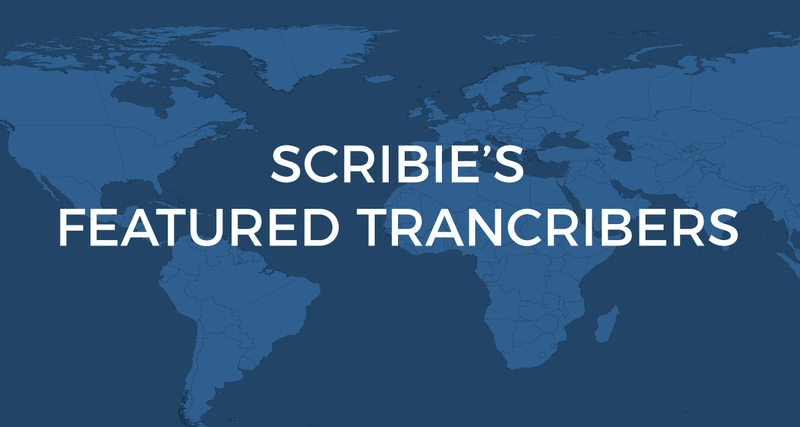 At Scribie, we employ thousands of transcribers from around the world. These transcribers are the heart and soul of our service, and we rely heavily on their expertise and diligence to produce the best transcripts in the industry. We want to highlight and recognize these humble and fastidious individuals by telling their stories. 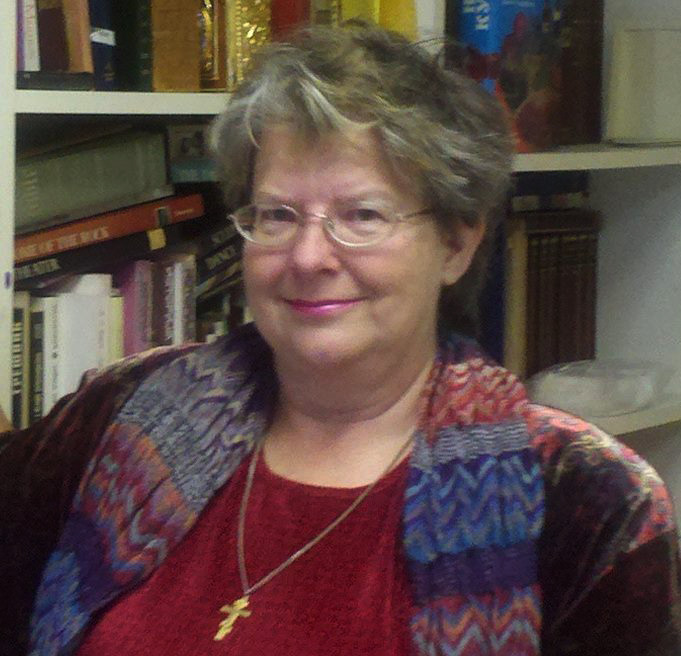 I recently caught up with one of our transcribers, Christine L. from California, and asked her a few questions about her time as a transcriber at Scribie. Here’s what she had to say. From discontented housewife to skilled transcriber, Christine explains how working from home for Scribie provides a flexible schedule, supplements her income, and keeps her intrigued. Q: Tell me how you first got involved in with Scribie? A: After being out of work for several years, and settling in as a more or less discontented housewife, I had applied for a part-time job in an office, which would have included transcription. I didn’t get the job, but since I did well on their transcription test, I decided to explore the wonderful world of online transcription. Scribie was one of a handful of companies recommended as “beginner-friendly.” I took the test, passed, and the rest is history! Q: Do you do transcription full-time or part-time? A: Very much part-time. Sometimes 4 or 5 hours a day, sometimes none! Q: What has surprised you most about working with Scribie? A: I have been amazed at the variety of different types of audio being transcribed. One day I may transcribe audio from a court case; the next, from an author writing a murder mystery; and just this morning, two young women discussing how to deal with a power failure and giggling over how their children dealt with it. You just never know what you’re going to hear! Q: What do you find most challenging about transcription? A: It can be very physically demanding. Even if you have the most comfortable office chair ever built (and most of us don’t! ), sitting for long periods of time can be hard on your back. It’s really important to stand up and walk around at regular intervals, but sometimes the files are so interesting, I don’t want to stop! Q: What do you wish other people knew about transcribing? A: In spite of what you may have heard, automated transcription apps are no substitute for the human ear. Sooner or later, you have to get a real person to listen to your file. Q: Why did you choose transcription as opposed to other professions? A: I’ve always enjoyed transcribing. Long ago, I worked for an insurance company and transcribed incoming claims, as well as interviews. Each claims adjuster had a different style, and it was interesting to hear the background of the fender-benders. Q: Tell me about how working in transcription fits into your life. A: What I love about doing freelance transcribing is that I can work whenever I please, for as long or short a period as I want. Scribie is great because they divide up the long audio files into chunks no longer than six minutes. I’ve gotten good enough that I can usually do six audio minutes in 20 to 25 minutes. That’s a big help in deciding how many files to try to fit into one day, and schedule my time accordingly. Q: When your friends/family find out that you work from home, what do they say or ask? Q: What might (someone) be surprised to know about transcription? A: Sometimes it feels like eavesdropping – I like to joke that it brings out my inner ‘Mrs. Kravitz’! And yet listening to all these voices, day in and day out, gives you a feel for how other people are coping with life – their problems, their concerns, their joys. Even the infomercials we transcribe are enjoyable, because I always think, ‘Here’s someone who’s doing his or her best to make a living – good for them!’ It can be very inspiring, as well as entertaining. Q: Work from home jobs like transcription seems to be growing. Why do you think that is? A: Globalization of the economy may sound like a lofty goal, but it resulted in my job being “outsourced” to another country in 2009. That happened to a lot of other people, too. I think because of that experience, many of us are leery of committing ourselves to work for someone else. Instead, we’re trying to find ways to earn money on our own. Working from home may not pay as much as a full-time corporate job, but there’s one great thing about it: you won’t get fired! Q: What would you tell someone who is thinking about a career in transcription? A: Don’t expect to replace your full-time salary unless you’re willing to devote a lot of time and effort towards building your own transcription company. However, if you’re looking for ways to supplement your income, or make some extra cash, this is a great way to do it! Q: As a transcriber, what sorts of trends do you see? A: More people seem to be doing podcasts via YouTube and other sites. I’ve also been transcribing quite a few sermons, which makes me wonder if more churches are going the online route. Q: What do you do when you aren’t transcribing? I also enjoy visiting used bookstores, although sadly, the number of these is dwindling. Q: What else can you tell me about transcribing? A: It’s addictive – once you get started, it’s hard to stop!